Will Mahat, Yashika And Aishwarya Ever Change? Yesterday, the finalists were given the opportunity to express their feeling in the confession room. But this is not the first time we are listening to this. 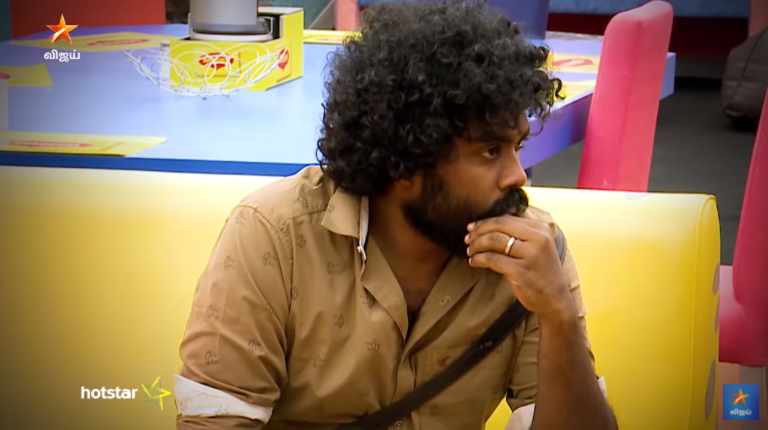 This confessing task is going on again and again, and it's obvious that Bigg Boss team is running out of ideas already. But repeating the same thing is extremely boring. "I love you a lot Bigg Boss," Aishwarya became emotional! Well, nothing to be surprised off. We understand Aishwarya likes chatting with Bigg Boss alone. 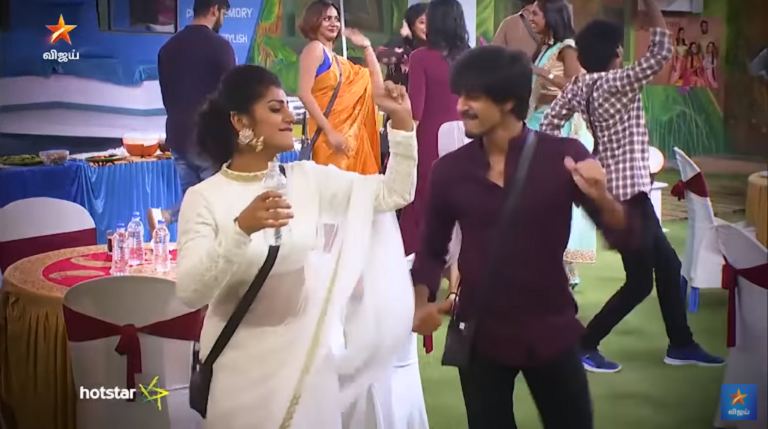 As expected, the former housemates visited the Bigg Boss house. But this time, the entire pack came except for Mumtaz and Ponnambalam. So even the reunion came before the big day! "It looked as though you were suffering inside. Are you alright now?" asked Ananth Vaidyanathan to Aishwarya. But for some of us, it looked the other way around. 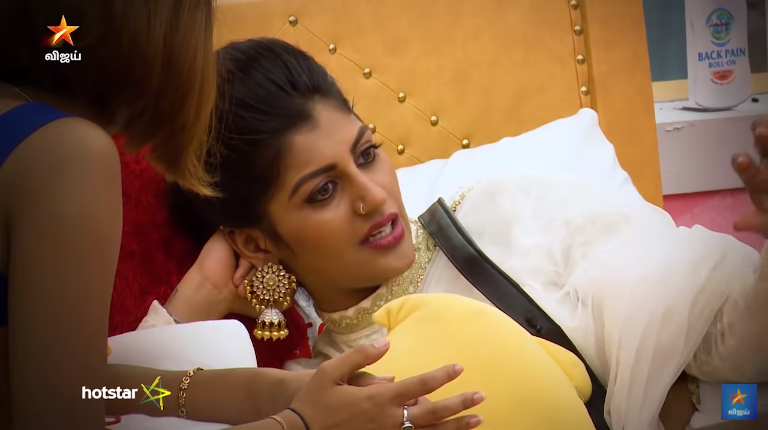 For some reason, it felt like the other housemates were suffering living with Aishwarya. The housemates were seen laughing and talking stories with each other. But it was obvious that some of the contestants will never change. Yashika, Aishwarya and Mahat teamed up again and started gossiping and this time they were talking about Daniel. "Kamal sir helped everyone to get a good name when they left the show, except for Danny," discussed Yashika and Mahat. "How we behaved to others is acceptable. But people who talk behind other's back is the worst person of all, said Mahat when referring to Daniel. Wait! Isn't the three of them gossiping about Daniel behind his back now? No matter how much Kamal tried to clear Mahat's name, Mahat spoils it the moment he comes on air. But Daniel just stayed low and didn't mix with anyone that much. He was seen talking to a few people and that's all. At least he's careful not to get into any controversies this time. Even when the housemates were asked to leave the house, he was seen leaving first without saying goodbye to anyone. However, everyone was eager for Yashika and Mahat's reunion, to see how they would react to each other. Moreover, Mahat expressed his feelings to Yashika on the show, and patched back with Prachi once he's out. But both Mahat and Yashika handled the situation well and showed no affection to each other. When the housemates sat together and discussed about the tasks, "I would have gladly coloured my hair electric green, or even bald my head," expressed Mamati. Maybe Mamati would have performed better than Mumtaz if she was just given a chance. She was the first person to leave the house. Bigg Boss made a huge mistake by extending the show for 5 days! There’s no content and nothing interesting was going on. The viewers just want to know who’s the winner! Time to see Ulaganayagan Kamal Haasan tonight!